Save Money and order Engine Mounts at the same time! Discount automatically applies in shopping cart. 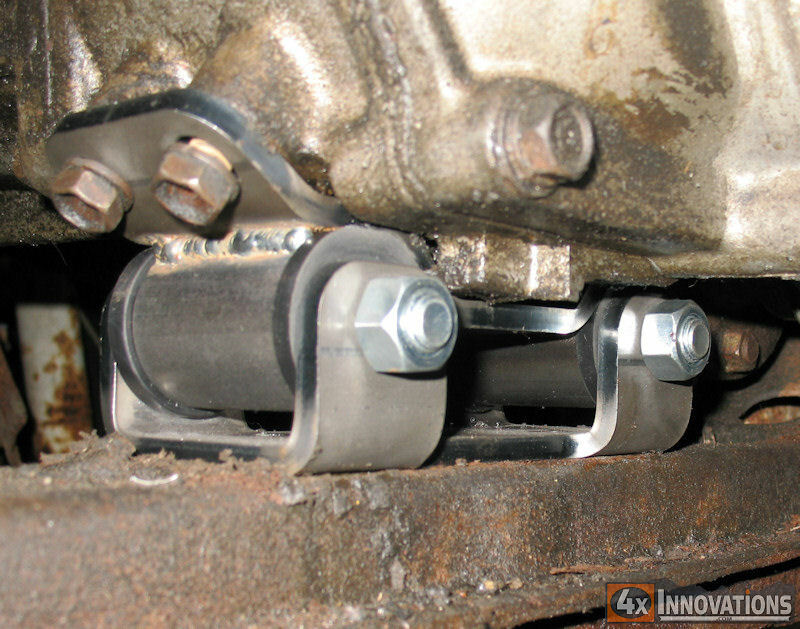 As you have probably already discovered, off roading places heavy abuse on your engine mounts and transfer case mounts. The soft stock mount tends to either flex far too much letting your shifters hit things in the cab, or even worse, the rubber will rip right in half! So now you’re in the middle of a trail, in the middle of nowhere, with a transmission/transfer case that is just flopping around, now what do you do? To help you avoid such a situation, 4x Innovations has created the first true super duty transfer case mount for Toyota trucks! This new mount replaces the soft, weak, stock rubber portion of the mount with quality Energy Suspension Poly round bushings. These bushings will not split and fail on you, eliminating such worries associated with stock mounts. Your new mount comes with thicker steel plates that are laser cut and CNC formed for the best fit possible. 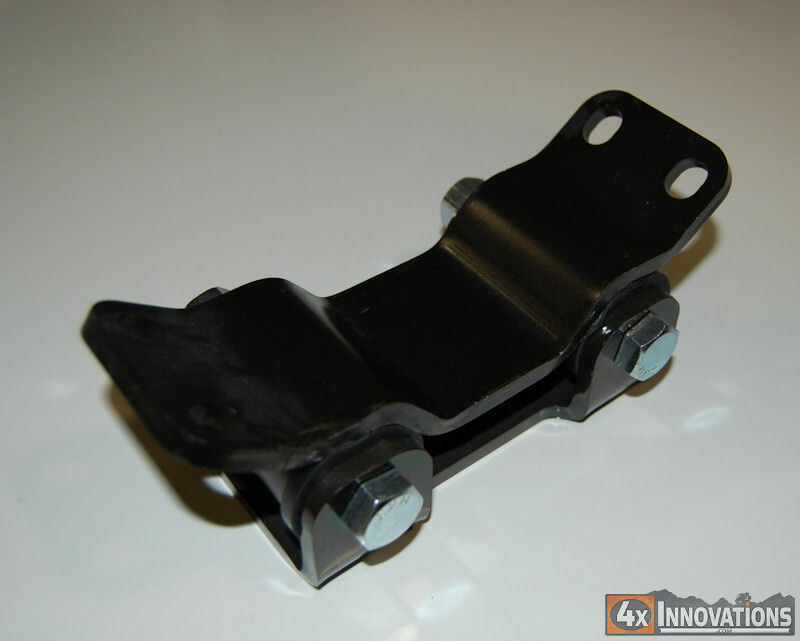 This mount is a direct replacement for the stock mount. 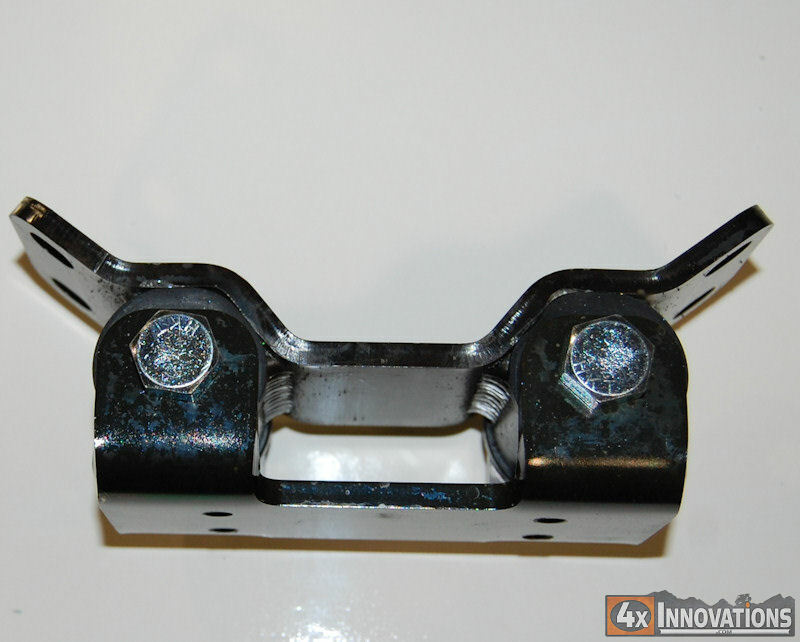 You can even run this mount with aftermarket cross members that reuse the Toyota rubber mount. Get the strongest mount available for your rig today. 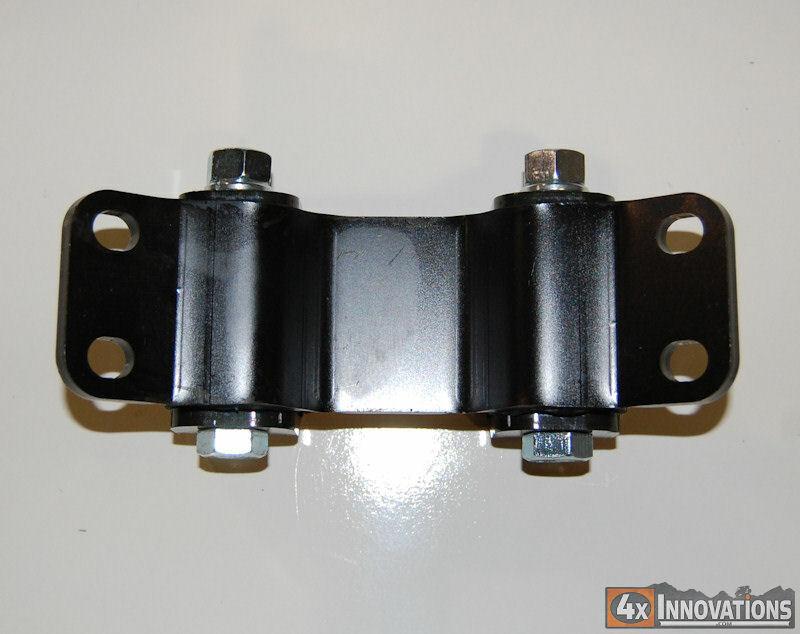 This mount fits all 79-95 Gear drive transfer cases and 82-95 4 cylinder cross members.